With ESI's latest Flex eBook. 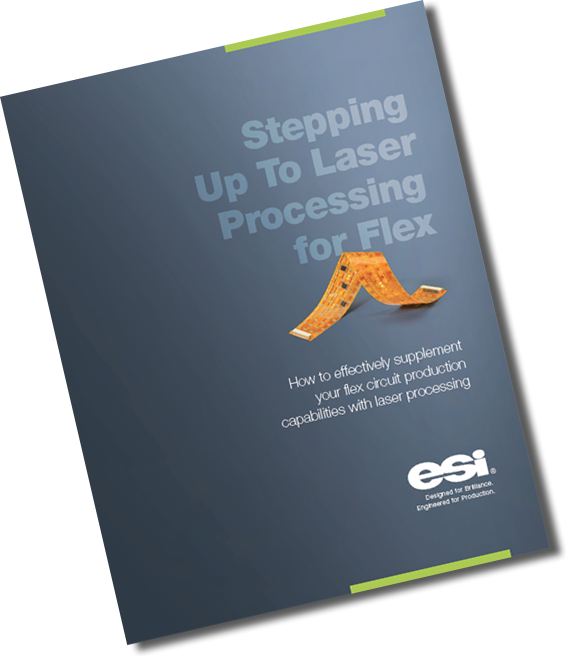 Let this comprehensive guide take you on a tour of the advantages and implications of implementing laser processing for flex PCB. Whether you're considering adding laser processing or have already made the transition, this ebook will step you through the process; from selection and implementation to process development and system optimization. I consent to having ESI store this submitted information.